The US Marines UH-1Y Huey utility helicopter. 100 UH-1Y utility helicopters are being built for the USMC. The UH-1Y and AH-1Z models have a very high level of commonality, which reduces the manufacturing and procurement costs. The helicopter has a new four-bladed, composite, hingeless, bearingless main rotor system and tail rotor. The UH-1Y is fully marinised and capable of shipboard operations, including take-off, landing, refueling and re-arming. The UH-1Y has a new glass cockpit with integrated avionics system. The helicopter will have a new BRITE Star thermal imaging and laser designation system, capable of designating targets for the Hellfire missiles of the AH-1Z. 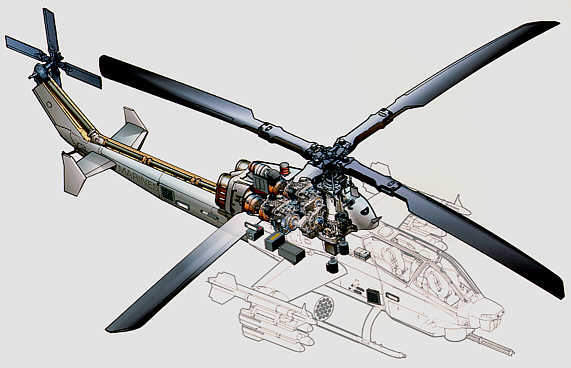 Drawing of the AH-1Z Supercobra showing the rotor system common with the UH-1Y. 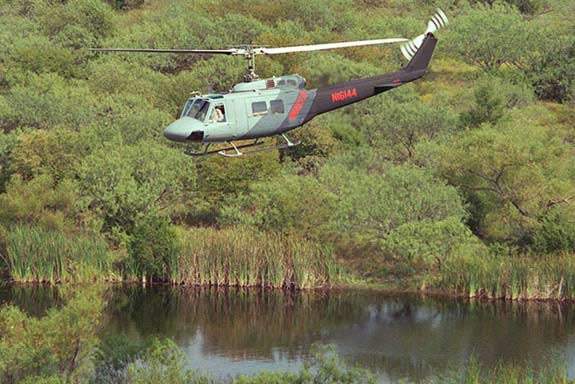 The UH-1N helicopter has been in service since 1971. The UH-1 series helicopters have been serving the US forces in action since the Vietnam War in the 1960s. Seen here is the UH-1N. More than 16,000 UH-1 Iroquois (better known as Huey) utiltiy helicopters have been produced by Bell since service entry in 1958. 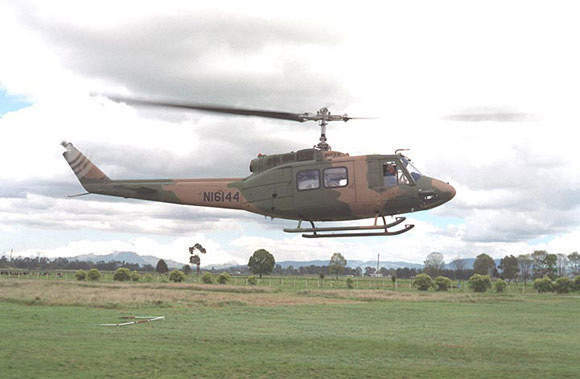 The UH-1N entered service with the US Marine Corps in 1971. The UH-1Y utility helicopter is fully marinised and capable of shipboard operations worldwide, including take-off, landing, refuelling and rearming. The helicopter is securable for deck movement up to Sea State 5. Missions include airborne command and control, aeromedical evacuation, troop transport, transport of supplies and equipment and search and rescue. 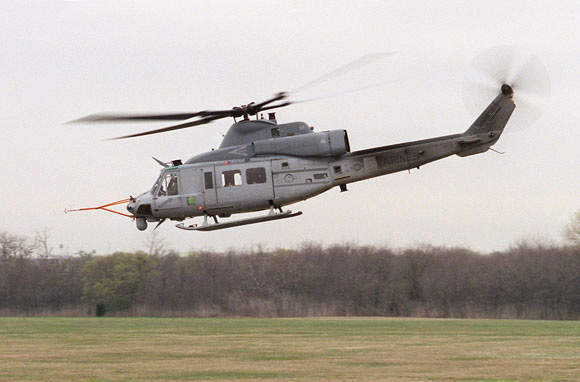 Under the US Marine Corps H-1 programme, 100 UH-1N Huey utility helicopters were remanufactured by Bell Helicopter to the UH-1Y grade and 180 AH-1W SuperCobra attack helicopters to AH-1Z grade. In April 2005, the USMC decided that the helicopters will be built as new rather than remanufactured, starting from the third low-rate initial production (LRIP) batch in 2008. "The UH-1Y helicopter is fully marinised and capable of shipboard operations worldwide." This strategy was preferred because of the increase in operational deployment following Operation Iraqi Freedom, the marginal cost difference and the adverse impact of having helicopters out of commission during the upgrade process. The UH-1Y and AH-1Z have a very high level of commonality which reduces the manufacturing and procurement costs. The helicopters have a common four-bladed, composite, hingeless, bearingless main rotor system and tail rotor, engine, avionics, software, controls and displays. 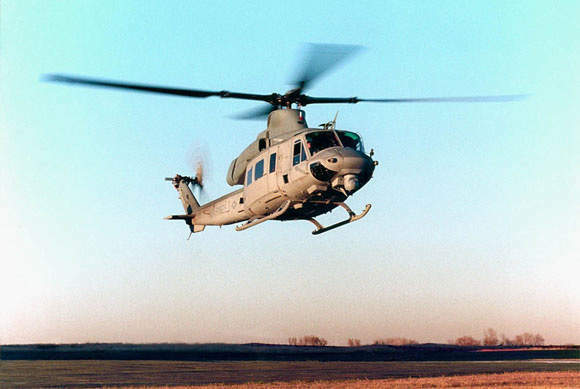 The first flight of the UH-1Y took place in December 2001 and first flight of the fully configured aircraft was in October 2003. 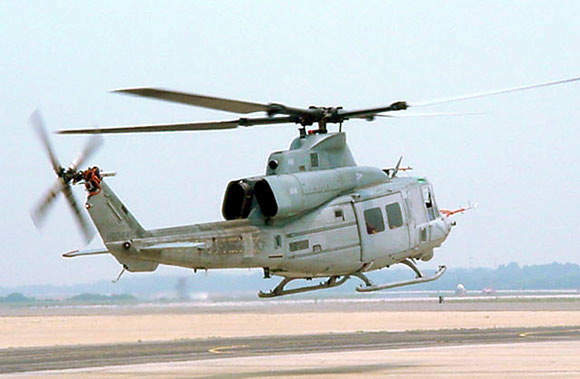 An LRIP order for six UH-1Y was placed in December 2003 and a second batch of four LRIP aircraft was ordered in April 2005. 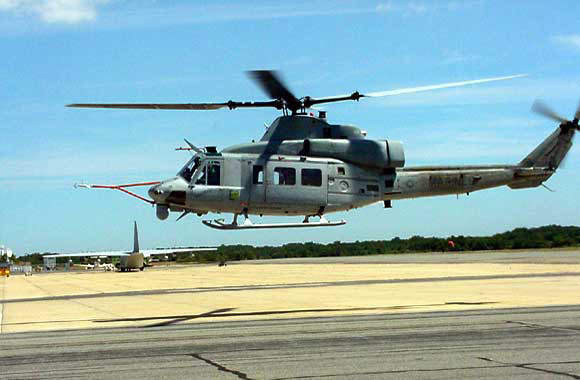 One UH-1Y was delivered to the USMC in October 2005. Developmental testing was completed in February 2006 and a six-month operational evaluation (OPEVAL) began in May 2006. 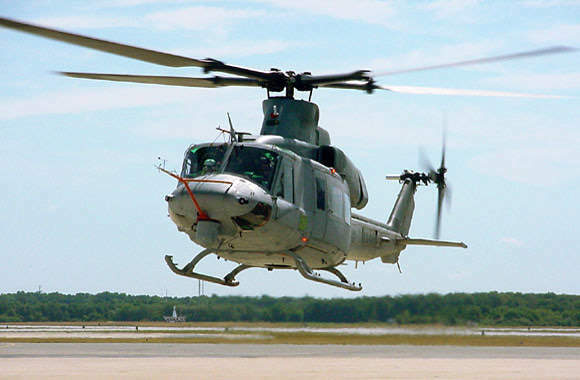 The third LRIP contract for seven UH-1Ys was placed in July 2006. The first production UH-1Y was delivered in January 2007. Initial operating capability was achieved in September 2008 and the UH-1Y is scheduled for its first operational deployment in January 2009 aboard USS Boxer, Wasp Class amphibious assault ship. 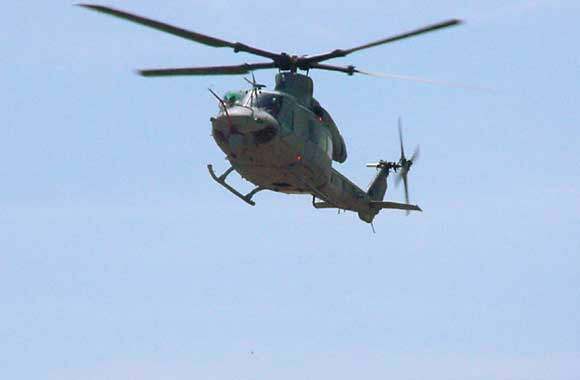 By October 2008, the USMC had placed orders for 37 UH-1Y of which 14 had been delivered. Deliveries of 123 aircraft are scheduled to conclude in 2016. The most noticeable external changes to the H-1 are the new four-bladed all composite, ballistically tolerant main and tail rotors. The rotors can sustain a 23mm round direct hit The rotor design has eliminated all bearings, hinges and rotor-mounted vibration absorbers. The blade body consists of a spar assembly, leading edge protective strips, skins over a honeycomb core and a trailing edge strip. "UH-1Y missions include airborne command and control, and search and rescue." Blade folding is by a combination of automatic and manual procedures. The system is capable of folding and unfolding in horizontal winds up to 45kt from any direction. Two fast rope gantries, deployable from within the cabin, are permanently installed. The gantries can be stowed in two positions so the cabin can be configured for ten crashworthy seats or six litters. The new fully integrated glass cockpit is night vision goggle compatible. The two crew stations are nearly identical with pilot or copilot functions at either station. The flight controls include conventional cyclic, collective and directional pedals. Each crew station has two 8in×8in active matrix liquid crystal colour multifunction displays and a 4.2in×4.2in dual function display and data entry keyboard on the central console. Thales Avionics is to supply the TopOwl Helmet Mounted Sight and Display (HMD), also fitted on the Tiger, NH90 and Rooivalk helicopters. The lightweight sight and display includes advanced visor projection with image intensifiers and forward-looking infrared. A FLIR Systems BRITE Star thermal imaging and laser designation system is mounted under the nose. BRITE Star consists of a triple field-of-view thermal imager based on a 3 to 5-micron indium antinomide focal plane array, a high-resolution CCD TV camera and an eyesafe laser rangefinder and designator. The system replaces the AN/AAQ-22A SAFIRE and AN/AAQ-22C Star SAFIRE (also made by FLIR Systems) currently fitted on the UH-1N. The communications suite includes the US Navy standard AN/ARC-210 radio, UHF/VHF communications, COMSEC, an APX-100(V) IFF identification friend or foe, a satellite communications interface with a high power amplifier and tactical data modem. The primary navigation system is the US Navy embedded GPS inertial navigation system with an ARN-153 TACAN system and VHF/UHF direction finder. The cockpit is equipped with a digital map for navigation, threat display and in-flight mission planning. "The machine guns selected for the UH-1Y are the M-240D, GAU-16 and GAU-17A." Northrop Grumman was contracted to develop the integrated avionics system which includes controls, cockpit displays, communications, navigation, central mission computer and external stores and weapons management system. The automatic flight control system has a stability control augmentation system (SCAS) with fail passive four-axis control of pitch, roll, yaw and collective. The pilot can select other operating modes of the flight control system: heading, attitude, speed, cruise, altitude and hover-hold, hover wave-off and force trim. Wave-off mode causes the helicopter to change from the flight condition at engagement to a pre-selected terminal speed. Force trim enables the pilot to reduce the control forces to zero. The helicopter is armed with 70mm rockets. The pilot launches the rockets by a trigger squeeze for single, pairs or salvo firings. The helicopter can be fitted with the seven-tube LAU-68, the 19-tube LAU-61 and, with additional software, the seven-tube M-261 or 19-tube M-260 for remote set fusing. The helicopter supports all Mk 66 rockets with unitary, airburst and training warheads. The machine guns selected for the UH-1Y are the M-240D, GAU-16 and GAU-17A. The 7.62mm GAU-17A aircraft machine gun can be fired by either member of crew when in the forward fixed position. The GAU-17A is air-cooled, multi-barreled and electrically powered with a firing rate up to 3,000 rounds a minute. The 0.50-calibre Browning GAU-16A gun is belt fed, recoil operated and air-cooled. The rate of fire is from 750 to 850 rounds a minute. The 7.62mm M-240D is a belt fed, recoil operated, air-cooled machine gun with a rate of fire of 750 to 950 rounds a minute. 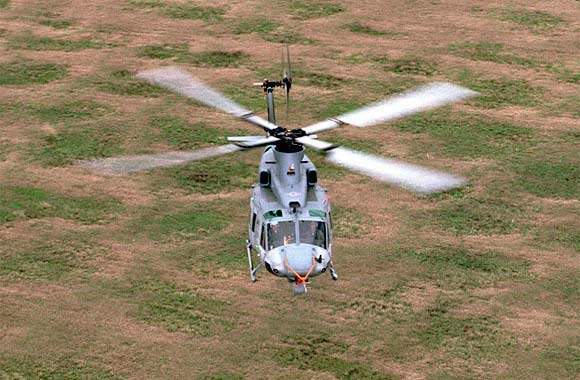 The helicopter is equipped with a suite of self-protection and electronic warfare systems including the Northrop Grumman APR-39B(V)2 radar warning receiver and ATK AAR-47(V)2 missile warner and laser detection system. The helicopter also has a BAE Systems Integrated Defense Solutions (formerly Tracor) ALE-47 countermeasures dispenser. The helicopter has two General Electric T700-GE-401C engines which provide a maximum continuous power of 1,546shp. The engine is equipped with a digital engine control unit (DECU) that maintains turbine speed, gas temperature and torque within allowed limits. "The helicopter is armed with 70mm rockets." The DECU provides automatic overspeed protection, auto-relight in the event of flame-out and loadshare between the two engines. The exhaust system contains an integrated hover infrared suppression system. The crashworthy fuel system consists of five interconnected self-sealing rubber fuel cells. Three main fuel cells are installed aft of the cabin bulkhead and two feed cells are under the cabin floor. The total usable fuel capacity is 1,333l. Pressure and gravity refueling receptacles are installed in the aft port fuel cell. Auxiliary fuel tanks can be attached to one or both DAS mounts. With both auxiliary fuel tanks installed the total fuel capacity is increased to 2,021l.